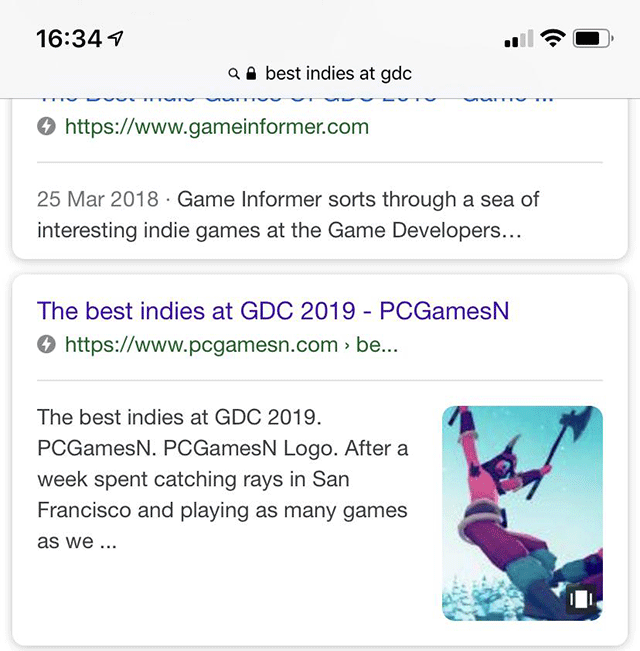 It looks like Google is testing showing a new type of image thumbnail in the mobile search results snippets. Some pages that have AMP Stories are seeing that their snippets in the Google mobile search have images showing off that there is an AMP Story available to be clicked on. AMP Stories launched over a year ago to provide visually rich and interactive content in an AMP format. I personally cannot replicate this but it wouldn't surprise me if Google is testing this.